Do you have a group of friends and want to play paintball in Prague? Then the private games are right here for you. 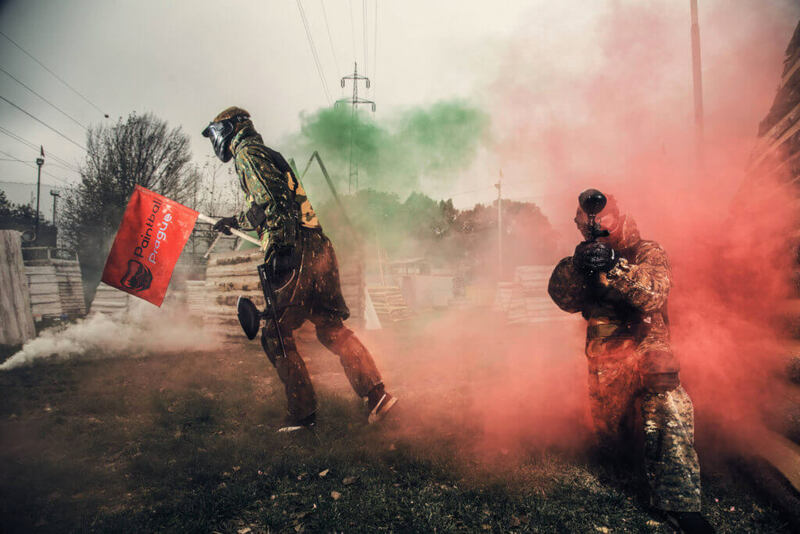 Come let off some steam to our unique paintball field in Prague. Friendly and professional English speaking organizers. Private organizer and alone playing in the field. Endless amount of game scenarios. Most popular are Team Deatmatch, Capture the flag, Zombies or Terminator. New unique action paintball field in Prague on the same address. Funny costume and quality equipment with the biggest number of additional equipment. Heated facility with lounge, where you can find a fridge and more. Option to cool down and relax at our refreshment stand near the river (draft beers, sausages, etc.). Photos of an awesome game in eletronic version. Safe and smooth course of using equipment a rules of action, which is secured by the professional organizer. Possibility of arranging transport from your hotel for special price. We try to fulfil all your demands and expectations. If you have any questions don´t hesitate to contct us. Minimal number of players is 6. In case of there being less than 6 players there is additional payment of 200 CZK for each missing player.